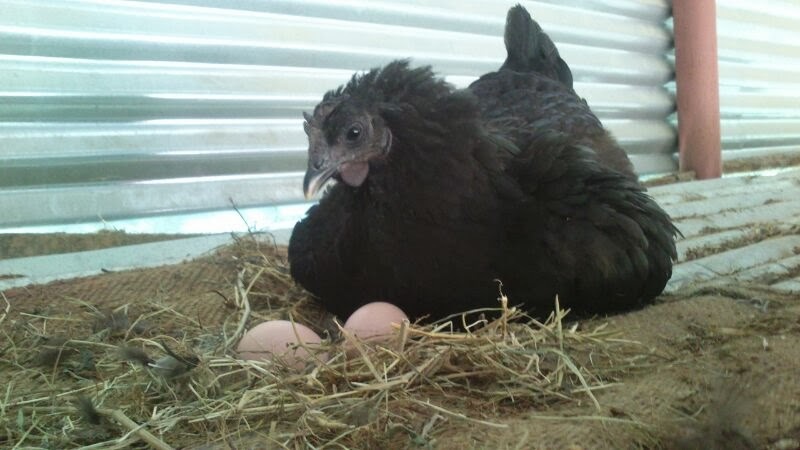 A lot of us get intrigued by the origin of Kadaknath Chicken. 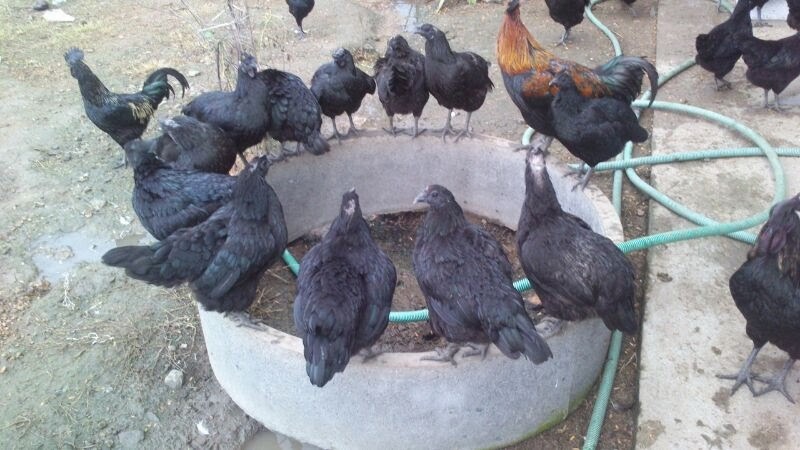 Government claims it to be Jhabua or some parts of Madhya Pradesh due to kadaknath chickens sparse occurrence there. 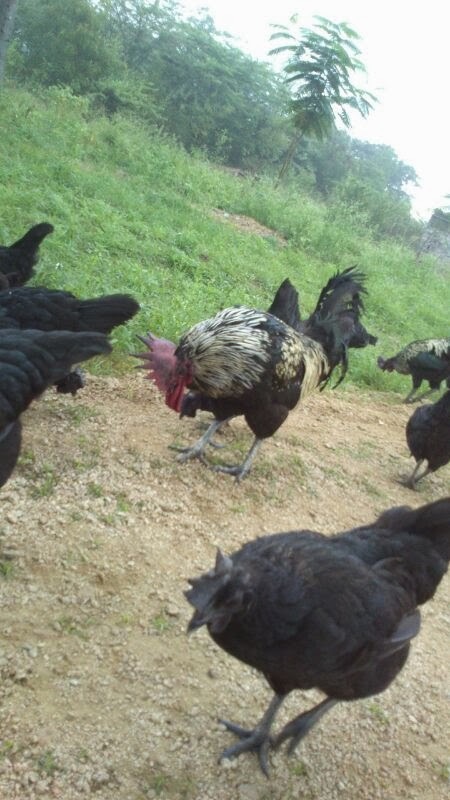 How did this chicken originate in India? is a big question. True. 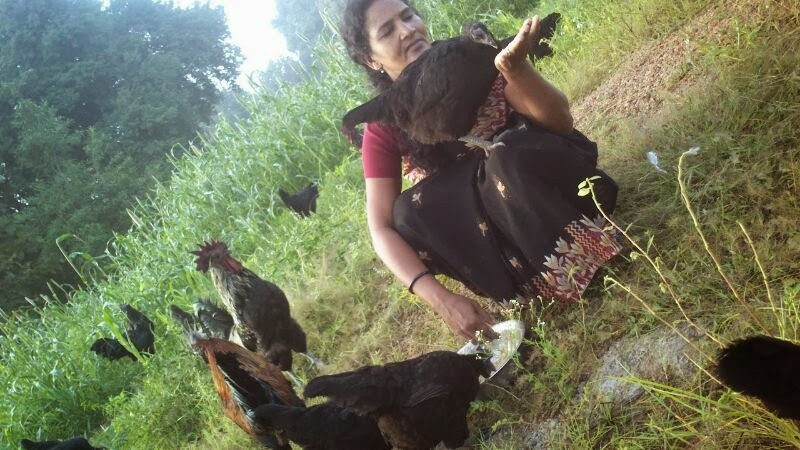 In Tamil nadu, there are many sidhdha poems dating back to many thousand years about the concoctions made from black meat chicken. 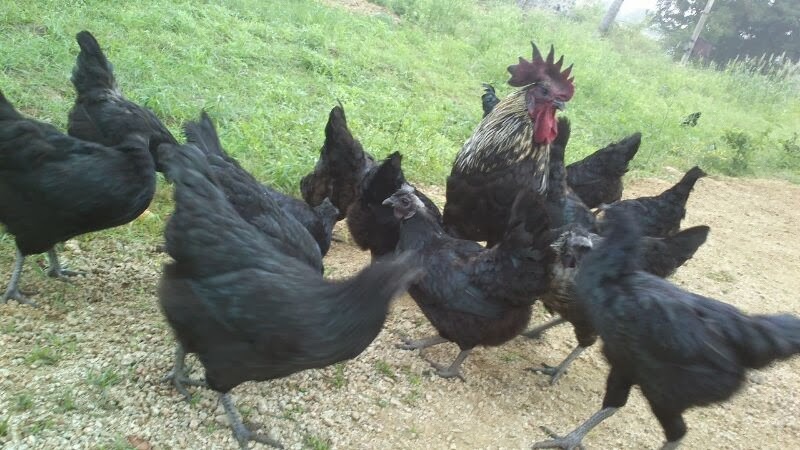 This fact gives us a opinion that black meat chickens were in existence here in Tamil nadu many thousand years back here. The melanism process have occurred may be by natural process. We should have come across the Ayam Cemani breed or Silkie chicken having same properties as Kadaknath Chicken. We can see there is marked difference in body fat and comb. 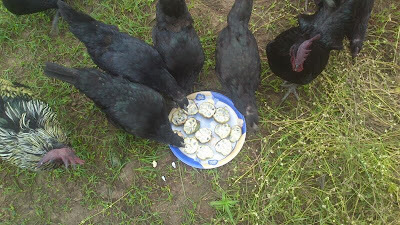 Most Ayam cemani are having pointed comb and body looks lean. All India Service available except far east and some locations inside India. Call us for service availability. Thanks a Ton! Agricultureinformation.com for interviewing us and publishing our success story in your Magazine - Agriculture & Industry Survey. 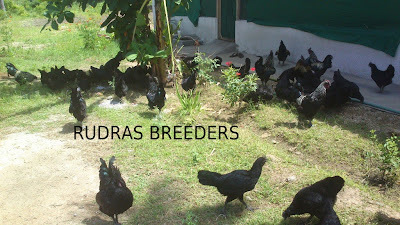 Rudras Breeders poultry farm was the brainchild of Mr. Satish Kumar in 2009. It was started in the year 2010 in Jolarpettai in Vellore district, Tamil Nadu. Mr. Sakthivel S, is the proprietor and Manager (Business Development) of Rudras Breeders. Satish wanted to start a business to contribute value to society and to earn livelihood. He ventured into this business in 2009. 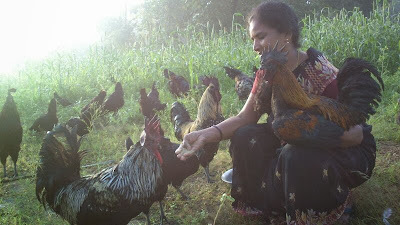 Mr. Sathish’s passion was chicken. He used to purchase chicks in retail from farmers and fellow people in and around Jolarpettai. 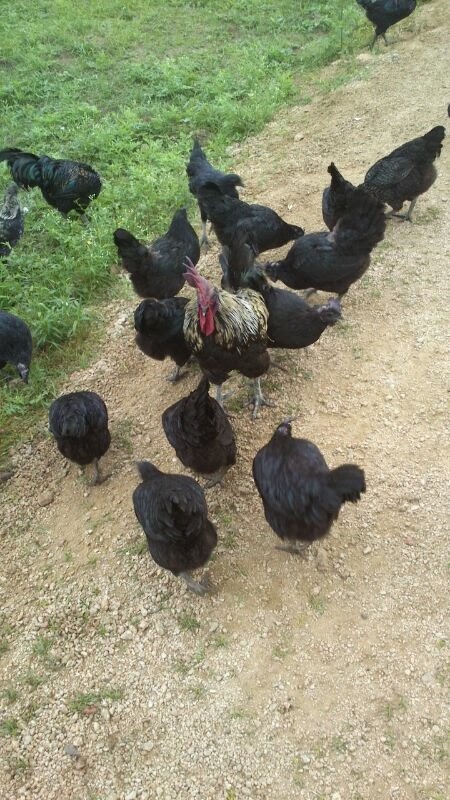 His passion was opening a quality country chicken farm. So, he visited farms of other people, and traveled far off places in Tamil Nadu to get first hand information about hatching chickens. 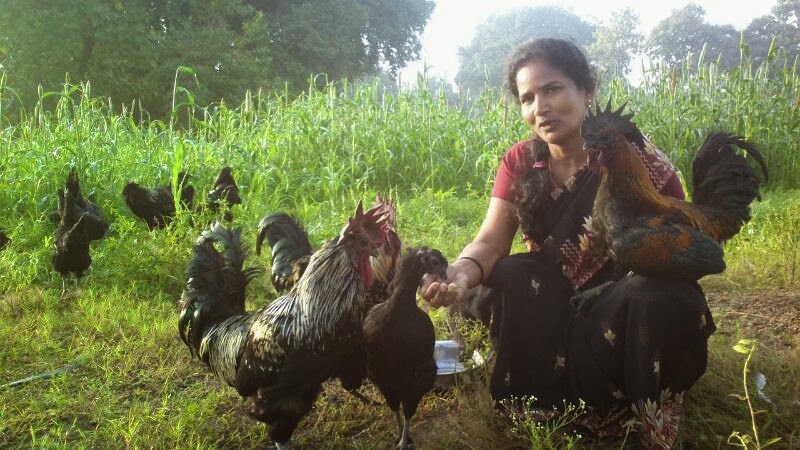 After initial setbacks in this business, the firm makes an online presence through www.agricultureinforma-tion.com a year back and now the firm is sending their chicks to far off places in India like New Delhi, Jamnagar, kota etc. The company is grown and committed to serve any number of needs to its repeat customers and thus the sales improved gradually over a period of time. What started as a small 16 X 11 sq. ft farm is now 800 sq. ft big farm and another 1,500 sq. ft farm will be operational shortly. There are bigger broiler chicken business giants. But Rudras Breeders main concern was hatching country chicken. It was not produced in mass and not sold in mass in Tamil Nadu. 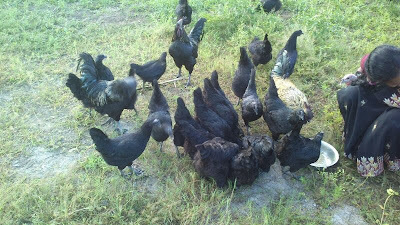 The firm decided to go for hatching country chicken and purchased small flocks to start with. The firm’s vision is to become the largest quality pure country chicken provider by the year 2017. So, the firm is inching towards their goal step by step daily. 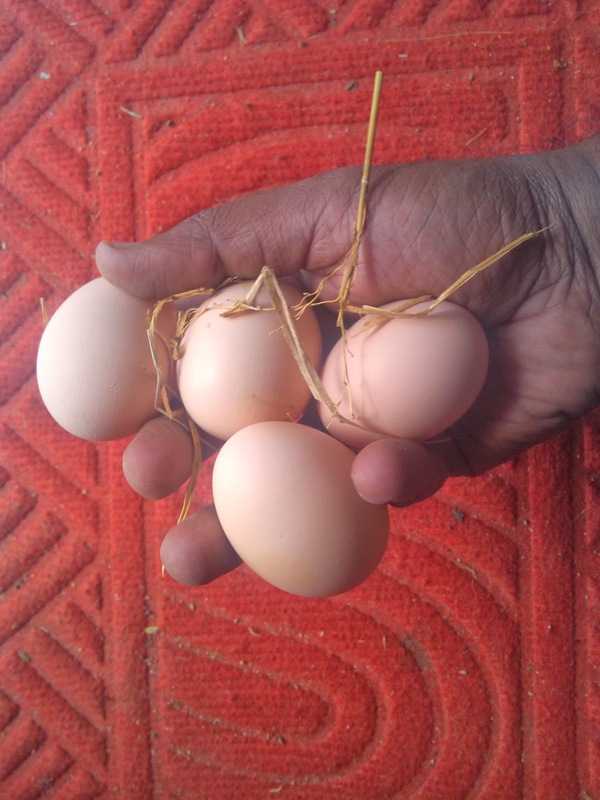 As the demand is more, the firm decided to enter into tie-ups with fellow farmers who hatch country chicken and adhere to the firm’s standards and quality. To start the firm in a small way, Mr.Shakthivel borrowed Rs.4,000 from his friend Mr.Thiayagarajan. The firm faced a lot of hardships during the initial stages of its operation. 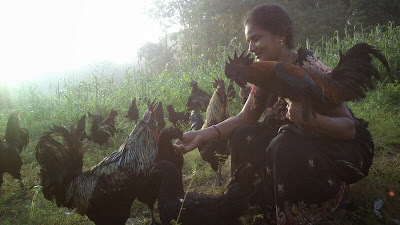 Mr. Shakthivel picked up the nuances of rearing chicken initially by reading books and getting a one day training. One dedicated supervisor to supervise 3,000 birds and one helper to clean farm and its equipments per 1,000 birds is what is needed to start with. One can starts poultry farm in a small way with an initial investment of Rs.30,000 and monthly operational cost of Rs. 4-5,000. Pick any of your passion or whatever you believe in. The main thing one wants to do is that start in a small way. One should not worry about returns, cash flow or margins. If one is doing the business means money is definitely coming out of that business. Talk to them or learn about that business. Even Rudras too started and failed twice. So the firm learnt the lessons without losing much. After the initial setbacks is overcome, the next step is to sell your products. One should go for networking. Networking means meeting people and asking them how to sell your products to bigger players in the market. In marketing, one should get rid of shyness. To attract customers one should give discounts also. In this way one can increase their customer base. When the customer base is solid then there is no question of looking back. The show goes on. For better on-line presence even Rudras tried many but www.agricultureinformation.com gave new customers and thus the business is flourished. For Rudras’ success the firm remembers the agri portals help. 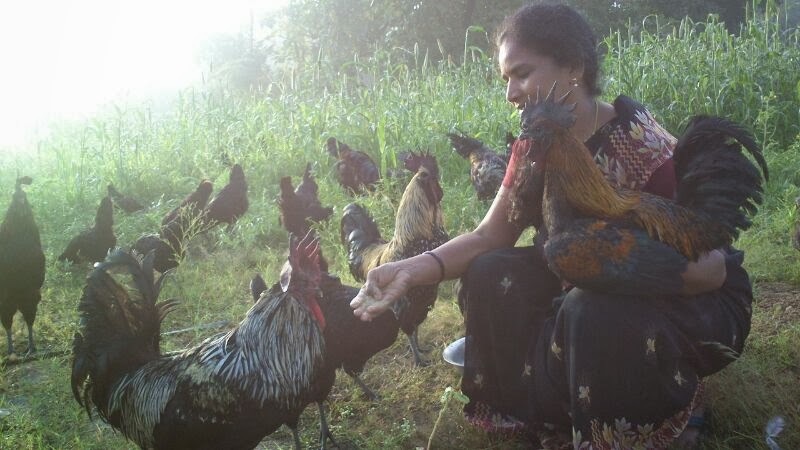 Rudras Breeders thought that the farmers were their customers. Today the company boasts that apart from farmers, IT engineers, lecturers, chicken hobbyists and unemployed youths were their customers. The firm’s goal is to sell at least 10 chicks to any one who wants to rear chicken in their backyard. So the firm is open to all. 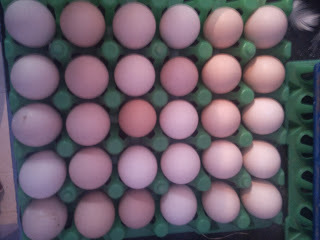 The firm’s first breakthrough came when it sent 10 chicks to Salem successfully and got repeat orders from the customers. When chicks are delivered in small numbers the customer bears the cost. When the firm gets big orders the firm bears the transportation cost. So the firm built a very strong relationships with many frequent travelers, delivery vans and other means of vehicle owners to deliver the chicks safely. To transport live chicks and hatching eggs safely is important. So the firm has a cordial relationship with transport owners and delivery agents. Chicks are delivered across the country through mini lorry, bus, delivery vans, rail and by air. 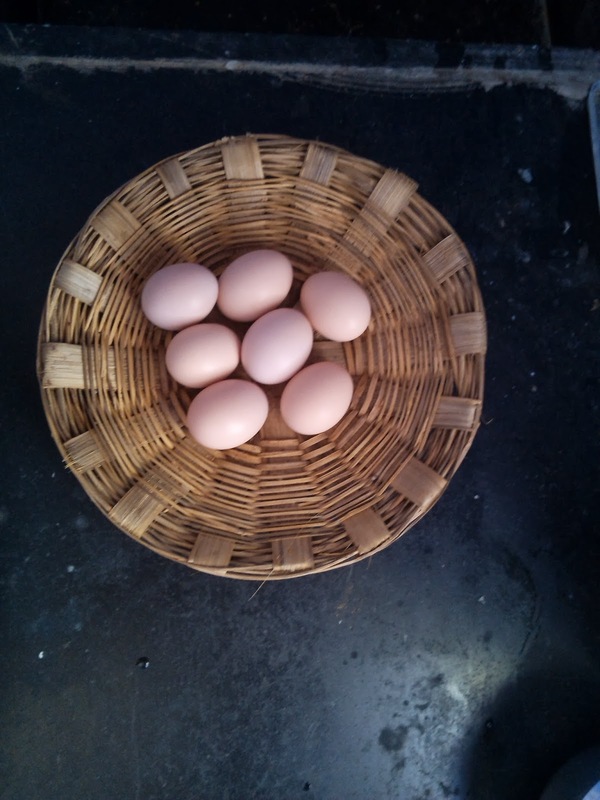 Health and hygiene is the most important thing in chicken rearing. One should not be lazy in this because the smallest negligence will cost chicks’ life and money. The firm maintains bio security measures. It cleans the farm twice a day for wet litters, feeders washed once a day, litter changed once a week. Lysol is sprayed and spilled feed is removed now and then to stop flies and rats. Fencing to the farm should be strong to prevent predators like cats, dogs and raccoons. Vaccination on specified days to chicks is a must to prevent diseases. 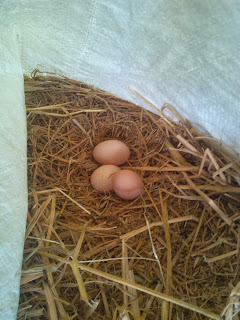 First two months of a country chicken rearing is most important. The firm feeds standard manufactured feed till two months old. The firm gives variety of feed viz veggies, spinach and worms etc. 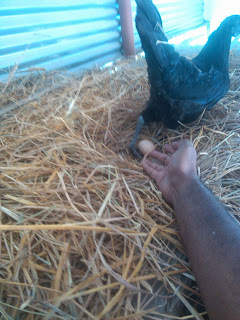 Maintaining health and hygiene of chicks is the prime concern. 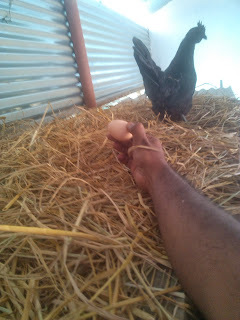 The latest technology has also crept into poultry farming. They are automatic feeder, drinker and gas brooders. Mr. Sakthivel S., is an MCA graduate from Anna University, Coimbatore. 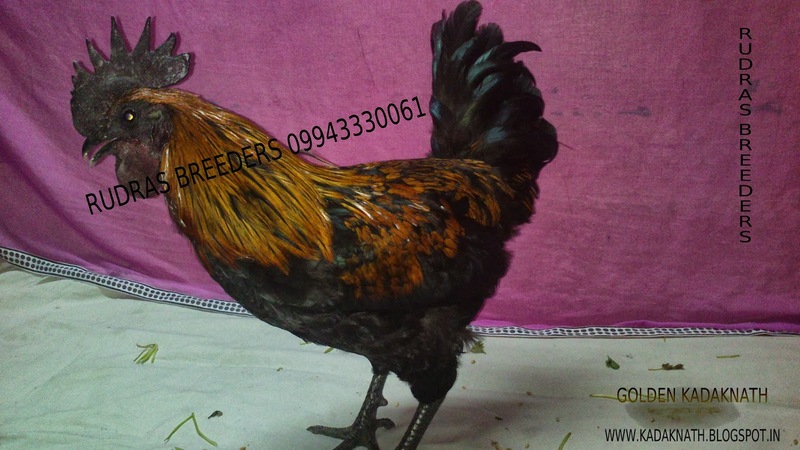 He is the proprietor and Manager (Business Development) of Rudras Breeders. 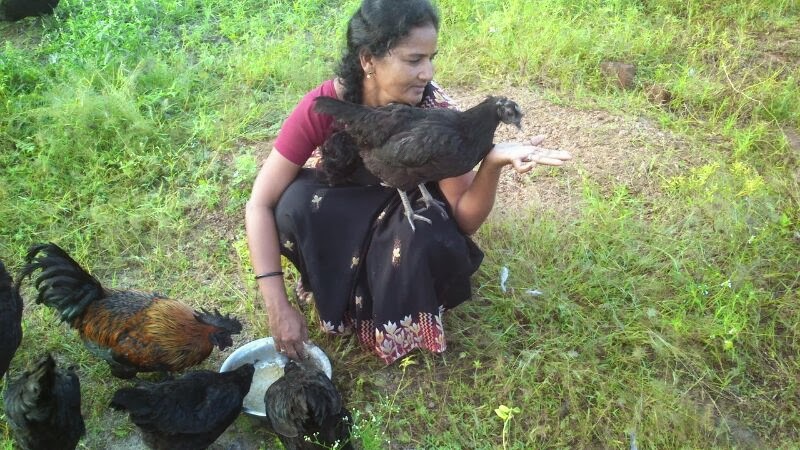 Mr. Sakthivel says that the toughest period in rearing chicken is summer as the heat increases the chicken is prone to diseases. Cooling the chicken by spraying water on the roofs, supplying lemonades to the chicken and sometimes we have to spray water on them too. “The firm has got many big plans. 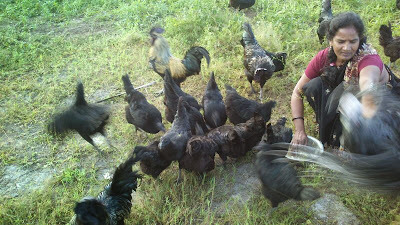 By mid-2013, we are going to add excellent country chicken breed. By 2017, the firm will have a larger country chicken breeder with customer service team, healthy, pure and quality country chicks and chicken providers in India. 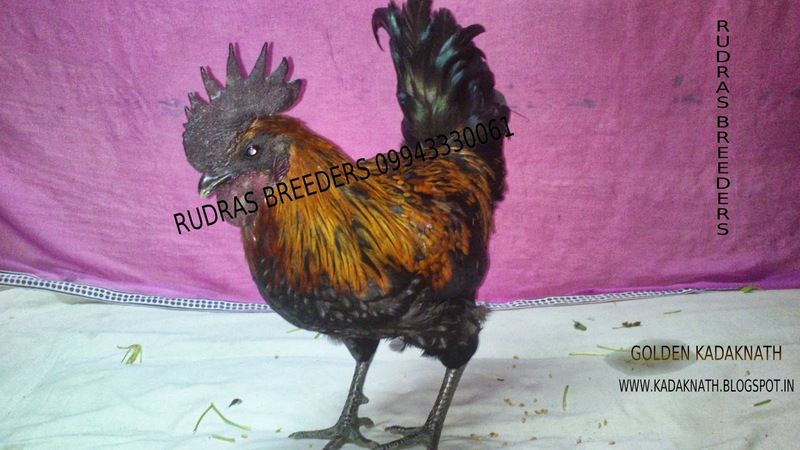 Rudras R & D, Rudras pet feed division, Rudras aquarium, Rudras kennels, Rudras chicken food restaurants were in the pipeline,’’ Mr. Sakthivel concludes. 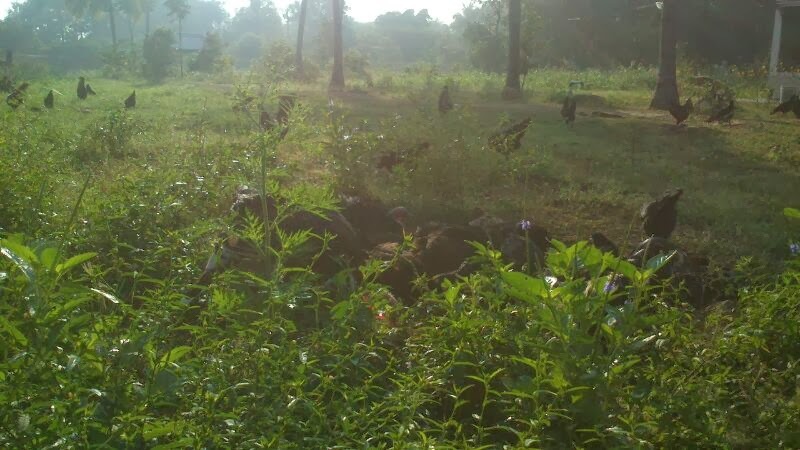 Ask Sakthivel Kadaknath FAQ 3: Can we feed vegetable market scraps to Kadaknath Chicken? But we should check for totally rotten veggies and plastic wastes. Also reduce the amount of tomatoes as it may cause oxalic acid stones in their kidney. Also fruit pulp waste from markets are not always good. Sometimes it causes cold and sneezing. 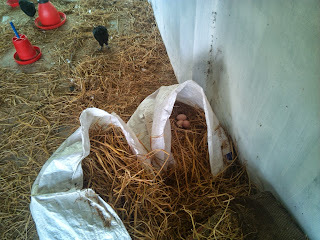 So we have reduced the amount of fruit pulp in Kadaknath Chicken's Feed so as to guard our guys from cold and sneezing. One week back we gave a treat to our Kadaknath Chickens with a full Banana Tree!!! They loved it. They ate the leaves, trunk and worms in the trunk. We have a discount this month to reach more of you. We deliver to you any where inside India. Even if your order is of lower quantity, feel free to call us. We love you a lot! These guys are some 2 weeks old. 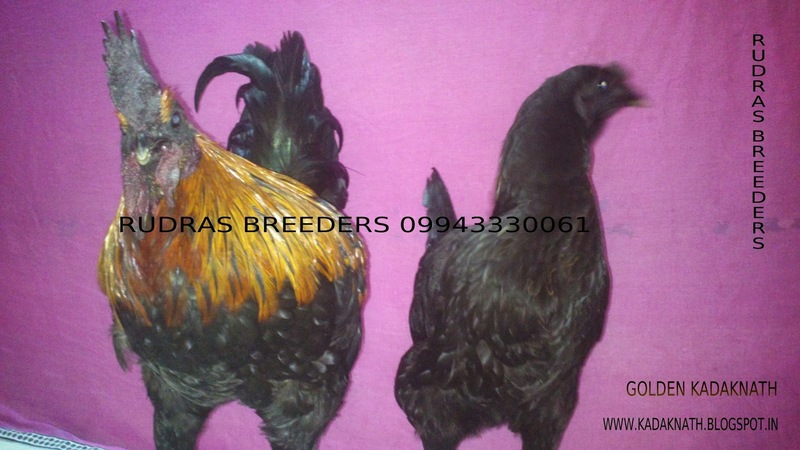 On July 1st week a batch of Black furl like Kadaknath Chicks are going to roll out for you. Rush your orders to book. No advance cash required! 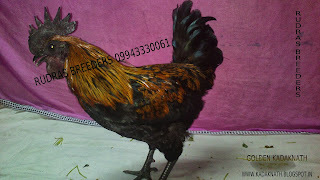 Any Desi chicken in India is a slow grower with very lean meat and low egg laying capacity. 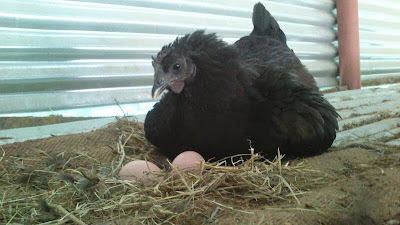 Kadaknath is also a Desi chicken with similar weight gain. Also good feed availability, good management and good sanitation has its role in Kadaknath weight gain. Normally when Kadakanth Chickens are free ranged, they exercise and loose bad fat like any Desi country chicken. The below values will vary in field and for us also. WHY? because poultry breeding by selection is an never ending process. 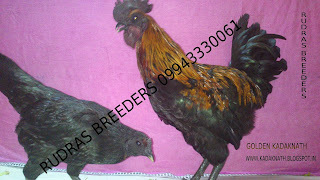 Corporates pour millions in poultry breeding for meat. We too spend on breeding but not in a filthy way. Plans for getting a good stable weight gain is being executed with vets. Hope we will achieve by 2018. You may gasp "Should I wait till 6 months?" . Yes!!! 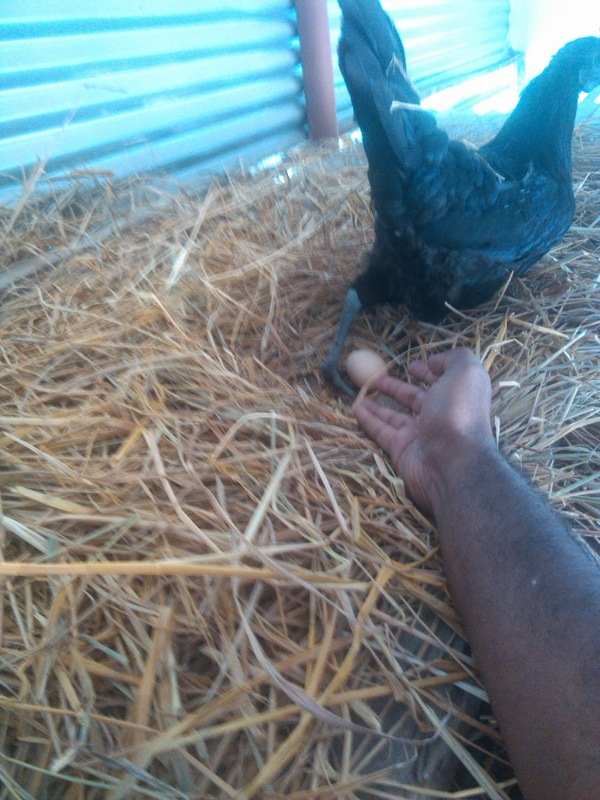 Can I get a fast growing kadaknath like Giriraja. Well we don't support any such crosses. We will never do that. Its Rudras Kadaknath's Policy not to lend our stocks for breeders who may try such and spoil the gene pool and in the long term Kadaknath's name. Also we wont sell to farms who may try to introduce through contract farming model. Because we have seen contract farms running amok with peoples money in country chicken. 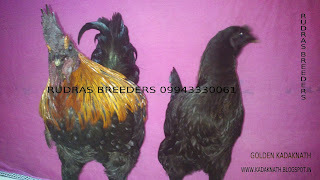 We wont let it happen in Kadaknath sold from us in all ways possible. Will the market accept BLACK Kadaknath meat? Yes. Didn't we accept Coke/Noodles/Pani Puri. Everything takes time to reach the masses. 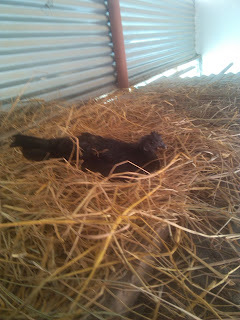 Kadaknath is not for the masses. It is for the elites. It has got low fat, low cholesterol, tastes better and bought for medicine making by Siddha/ Varma Doctors. Ask them. 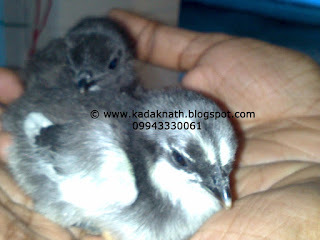 Can I buy Kadakanth for my home as low as 20 chicks? Of course. We will deliver to you with utmost care in person. Will you deliver to me at my home town? Yes. Wherever you are just call us and find a good place to take delivery. We are flexible. We service ALL OVER INDIA covering most towns and villages. All our chicks are vaccinated. No Buy Back agreement. Consultation free. Safe delivery at any part of India.